Second Chances is a contemporary romance novel written by Teresa Roman. Vanessa felt trapped in her life, despite the love she felt for her two young kids. She would wake up and get them ready for school just as her husband would be getting home from his job at the hospital. Their relationship, which was a sweet and awesome one while they were both in college, had grown more and more uneasy as the years passed. Ryan was hostile and paranoid, often accusing Vanessa of turning the kids against him. For her part, watching him treat their son harshly and yell at the two kids was breaking her heart, yet the idea of divorcing him seemed so daunting. When she got the call that morning from Dr. Mallet, the ER physician at the hospital where Ryan worked, she was already running late for getting the kids ready. What he had to tell her was stunning and left her unable to process what was real and what wasn’t -- her husband had fallen asleep at the wheel on his way home from work. Ryan Collins was dead. 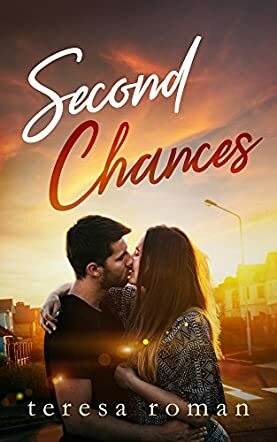 Teresa Roman’s contemporary romance novel, Second Chances, is an absorbing and gripping story about a widow’s life in the immediate aftermath of her abusive husband’s unexpected death. We see the strength of Vanessa herself, which combined with the support of Marla, her best friend, somehow serves to get her through the initial shock and back into the new reality awaiting her. Roman paints a sympathetic picture of a woman who is almost relieved by her loss and who instinctively feels guilty for that sense of relief. When she meets Alex, an old school friend, and they renew their friendship, the reader sees most vividly the extent of the damage Ryan had inflicted on his wife’s self-esteem and confidence. Roman’s plot feels real, and her characters have depth and dimension. Second Chances is most highly recommended.